Now that I have my own copy of The Life Changing Magic of Tidying Up (thank you PaperBackSwap.com) I took another look at it, and realized why I didn’t finish discarding my theater program collection — I didn’t get them ALL out at once. So now the cabinet has disgorged the rest, and as directed, I’ve handled each one, appreciated the vibrant colors and clever illustrations, and though they all “sparked joy” most have now gone on to the great Theater in the Sky (via the recycle bin). Sometimes it’s as easy to ignore what I should be doing as it is to ignore blogging about it… but something about getting every one of the programs out did seem to help. Still, it’s embarrassing to think about how long it took me to do this. 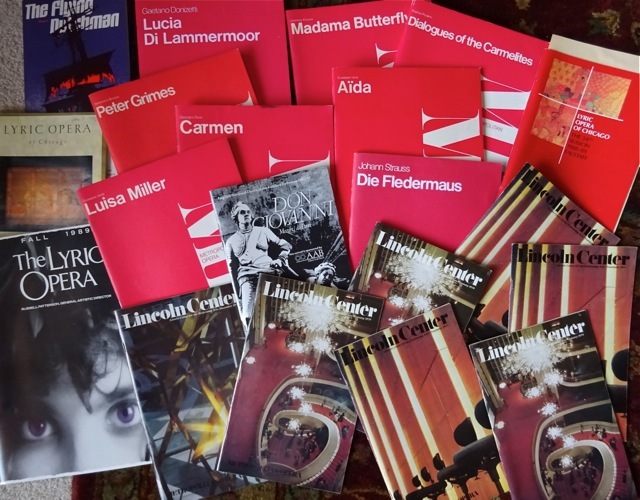 I found I still had 204 theater and opera programs. That’s after 77 went out on the first round of tidying. And that’s not counting the art museum programs I’d started keeping a few years ago. Even though I know that experiences are more important than stuff, I still managed to keep all this stuff to remind me of my experiences. It’s a trap! It was tempting to try to figure out the cost of all the tickets those programs represent. “What if you’d invested that money all those years?” a friend asked. I have to admit that occurred to me as well, but back then I’d considered it an investment in the arts. After I thought about it, I realized there’s another answer — if I’d invested instead, I’d have more money to spend on experiences now, but I’d be missing the richness and background of experiences then. I will admit, I kept programs from a few favorites. I’ll go through them again when I move, or maybe I’ll make a collage or two like my TWA travel-buddy Donna did. And yes, I’ll be seeing another play later this week, but I’ll be leaving the program for the next audience. When is your next theater date? This entry was posted in Art and Design, Clutter Control, Downsizing, Simple Living and tagged postaday, Weekly Photo Challenge. Bookmark the permalink. 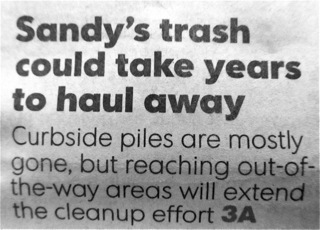 Oh, I simply love this, Sandy. 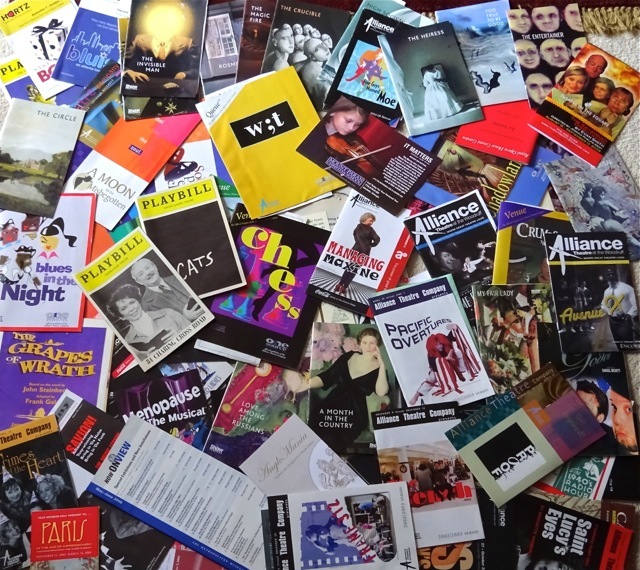 One thing I don’t hoard is theatre programs BUT son has every single sports program of his life ~ he’s nearly 21! We keep the things we love, don’t we? I still wish there’d been a collection somewhere I could have donated to, but keeping a few and recycling the rest was the best I could come up with. Hmmm, home-made wallpaper now springs to mind. A wall of programs would be a hoot, but not practical for resale. Oh you’re so practical! I love the idea of the wallpaper. Maybe I’ll suggest that to H!